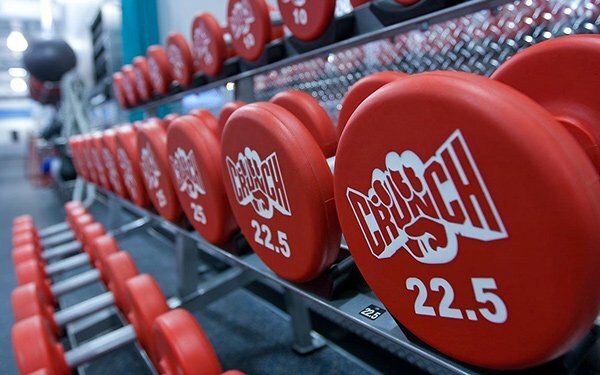 Crunch Fitness is naming StrawberryFrog as its new AOR after an informal review. “Our philosophy of ‘No Judgments’ and emphasis on fun aligned perfectly with the culture and talent of StrawberryFrog and we are excited to work with them on this new venture," says Chad Waetzig, EVP of Marketing and Branding at Crunch. The fitness club spent $1.16 million on advertising in 2017 and $666,000 during the first six months of 2018, according to Kantar Media. Strawberry's creative direction will be "focused on helping America join the fun," says Scott Goodson, CEO, StrawberryFrog, adding the emphasis will be to support membership growth for the 250 franchised clubs in 25 states, Puerto Rico and four countries. The New York-based agency has already started production on its first creative work on the multi-platform initiative which will hit the market at the end of 2018. Goodson says the chain's famous tagline, "No Judgments," will remain a core part of its strategy. In February, the fitness chain named Kentucky-based Scoppechio as media AOR to serve local market media initiatives for franchisees.